Friends and supporters of the Gift of Life, Inc. gathered at the Swan Club in Roslyn, New York to celebrate the installation of the Officers and Board Members of The Gift of Life, Inc. for the 2017-18 fiscal year. 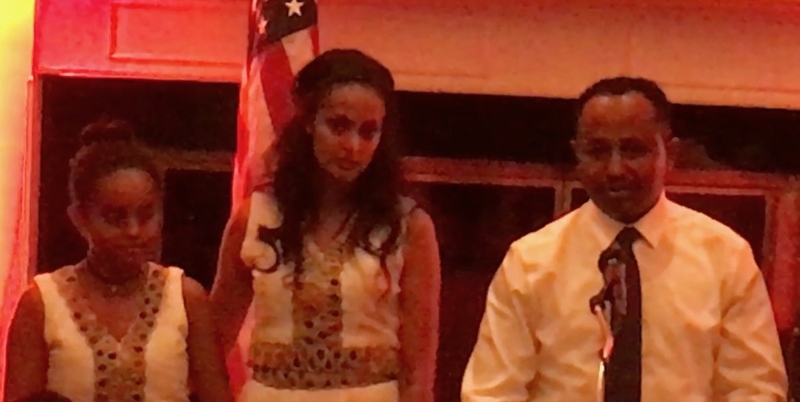 Francesco Di Marco was sworn in as President and Veronica Tsang as Chairman of The Gift of Life, Inc.
A highlight of the evening was a heartfelt thank you from the father of an Ethiopian girl, who had open-heart surgery in 2008 thanks to The Gift of Life, Inc. The father had this to say: “I want to say thank you for everybody. Because if you guys weren’t there for my daughter, I probably wouldn’t be seeing her…” his voice trailed off in emotion as he looked lovingly at his daughter nine years after her successful surgery. Everyone in the audience was moved by his words, which underscored the importance of the Gift of Life mission and the lasting positive impact on families from around the world.